What do we really know about vaccines? What does the science reveal about the assumptions that drive millions to inject their children with dozens of vaccines? Herd Immunity: Myth or Reality? The medical establishment got it all wrong: it is not vaccine-exempt children who endanger us all, it is the effects of prolonged mass-vaccination campaigns that have done so. 200 Evidence-Based Reasons NOT To Vaccinate - FREE Research PDF Download! The evidence against vaccine safety and effectiveness is massive. Here is a 300+ page research download of National Library of Medicine abstracts showing there are over 200 adverse effects of the vaccines in the CDC schedule, including death. Scientists claim the XMRV is nothing to worry about. Perhaps you agree. Now is the time to take a look at the evidence presented by these scientists who declare there is no relationship between XMRV and disease. You may want to reconsider. Just this week, the New York Times published an article stating that the problem of surging whooping cough cases has more to do with flaws in the current vaccines than with parents' resistance. 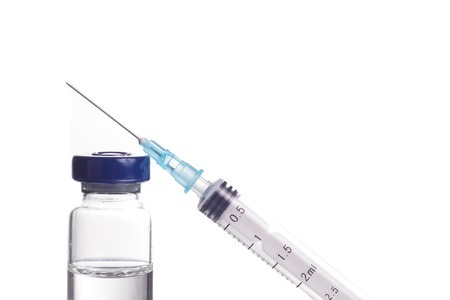 Could the truth about vaccines be going mainstream? Dr. Judy Mikovits Joins GreenMedInfo Advisory Board – Welcome to the Revolution! GreenMedInfo is honored to welcome Dr. Judy Mikovits to the team as she continues her search for absolute truth within the scientific community. As a true scientist, Dr. Mikovits believes it is her duty to seek truth at any cost, and we gladly stand by her side. Half of the U.S. adult population is simultaneously both against abortion and for a vaccine schedule that uses induced abortion derived fetal cells. How can such an extreme form of moral hypocrisy be maintained by millions without virtually any discussion? Does Vaccinating Pregnant Women Really Slash The Risk of Pertussis in Infants' First 4 Months? Could the connection between retroviruses and chronic fatigue syndrome, myalgic encephalomyelitis, or autism be the scientific story of the century? There is undeniable proof that the World Health Organization (WHO) has been violating basic human rights and using low income countries for vaccine experiments for years. With such high disregard for human life, how many ethical lines have to be crossed before the WHO is finally investigated? A Newsweek propaganda piece absurdly lies that vaccination entails no health risks -- and that anyone who knows better has no "faith in science"
A newly published article written by a former WHO vaccine committee member, has revealed that estimates for pertussis vaccine efficacy have been greatly inflated because of inaccurate case definitions adopted by the WHO in 1991 which required laboratory confirmation and 21 days or more of paroxysmal cough, excluding and therefore concealing a veritable submerged iceberg of vaccine-resistant cases of pertussis infection. New awareness of the microbiome is driving the vaccine industry to factor microbes in vaccine response. But the industry is ignoring the microbiome as factor in adverse events. Is Your Unborn Baby Part of a Vaccine Experiment? Vaccine safety has not been tested for growing fetuses, potentially risking the lives of millions of unborn babies. While there is much information on the dangers of vaccines, there is precious little on how to be healed from them. Flu vaccines, according to the best scientific evidence available today, will only work against 10% of the circulating viruses that cause the symptoms of seasonal epidemic influenza. So, do the theoretical benefits really outweigh the known harms? For those paying attention, there are serious concerns to our current vaccination schedule in America. In a previous post I gave 8 of those that I felt were important enough for me to not vaccinate my daughter. In this article we look at 8 more reasons. Do any of these resonate with you?